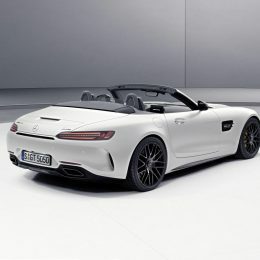 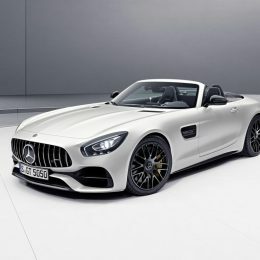 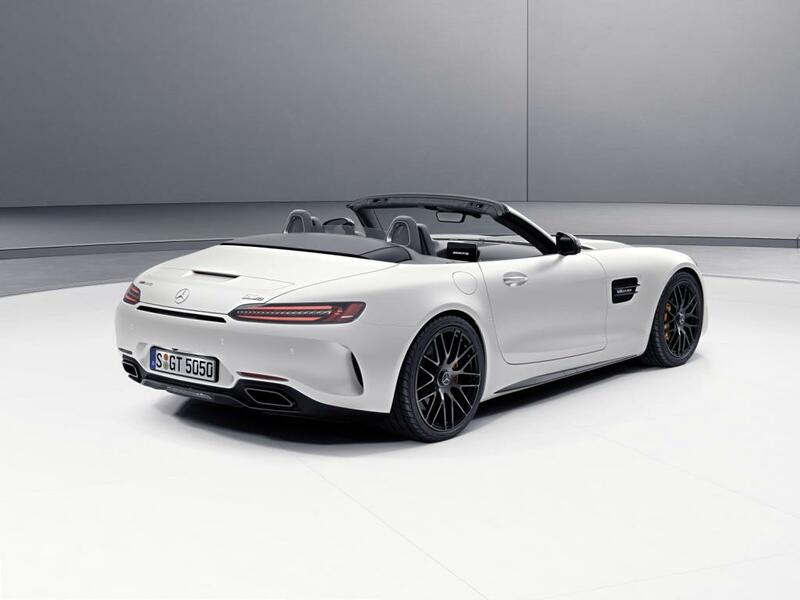 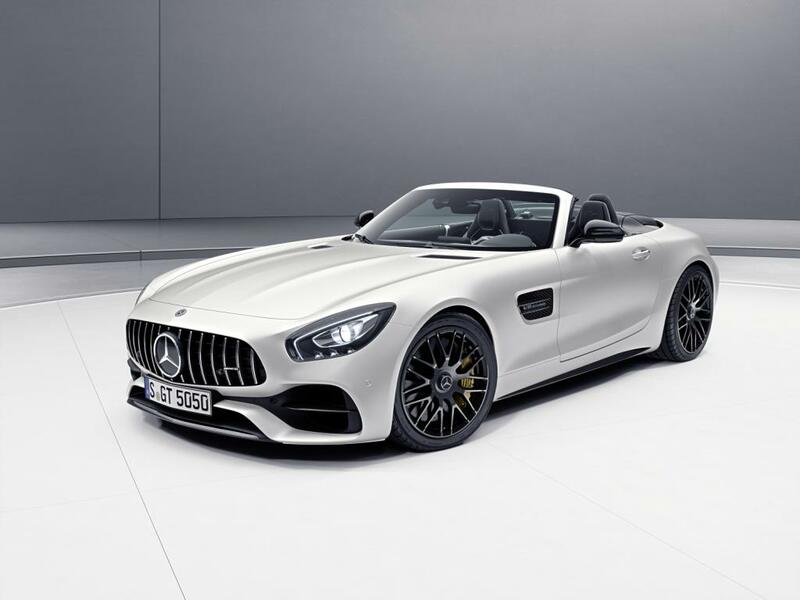 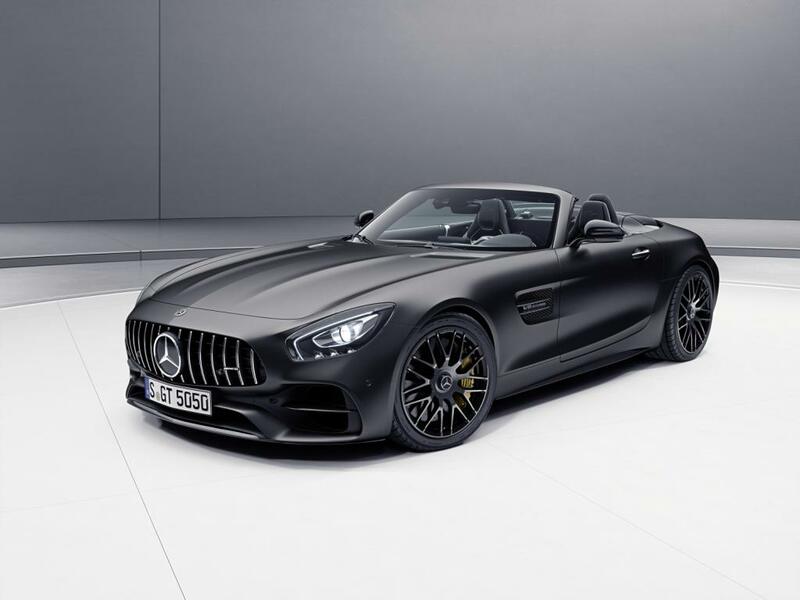 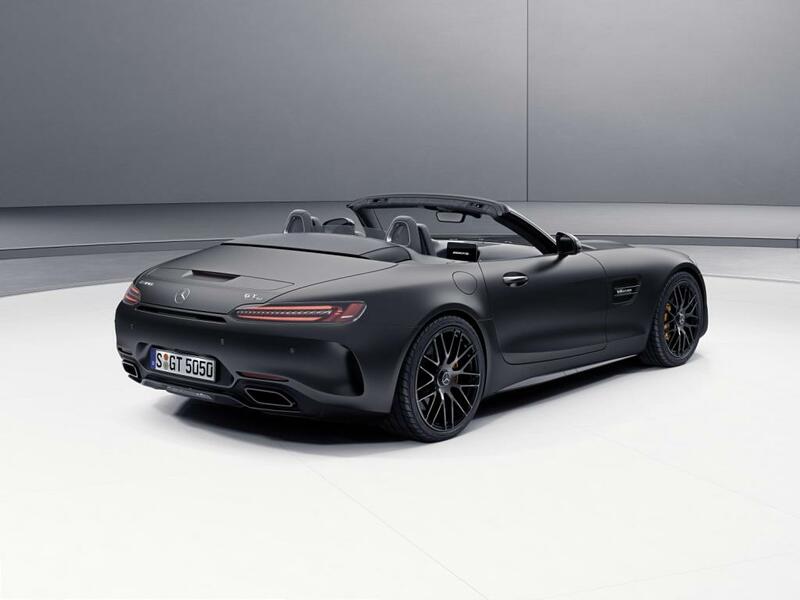 The 50 Years of Driving Performance anniversary is being used by Mercedes-AMG as the ideal occasion to add the new AMG GT C Roadster* Edition 50 as a further exclusive choice in the offering from the AMG GT family. 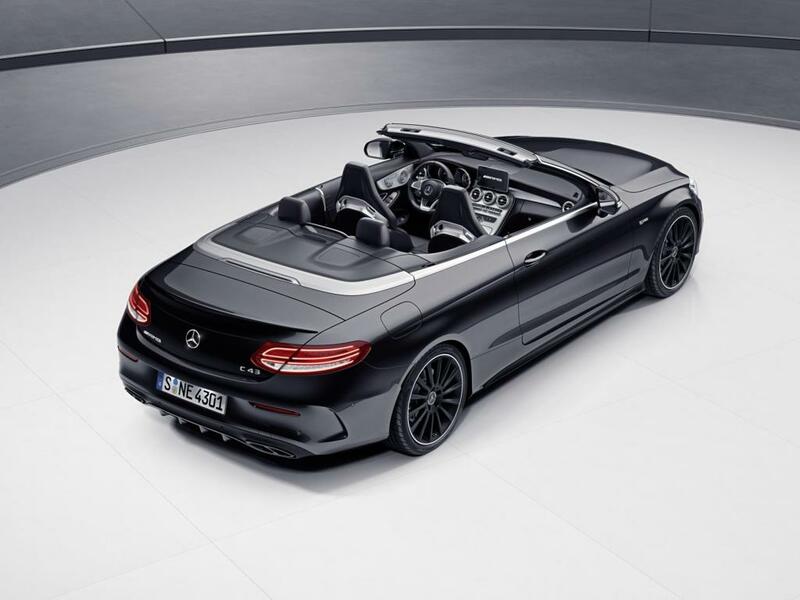 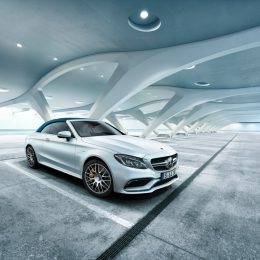 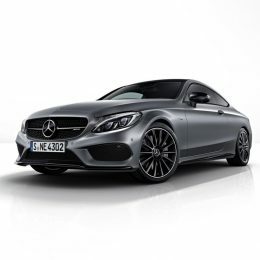 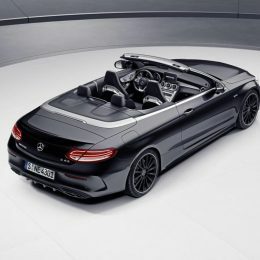 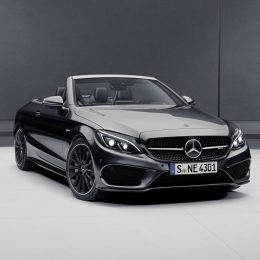 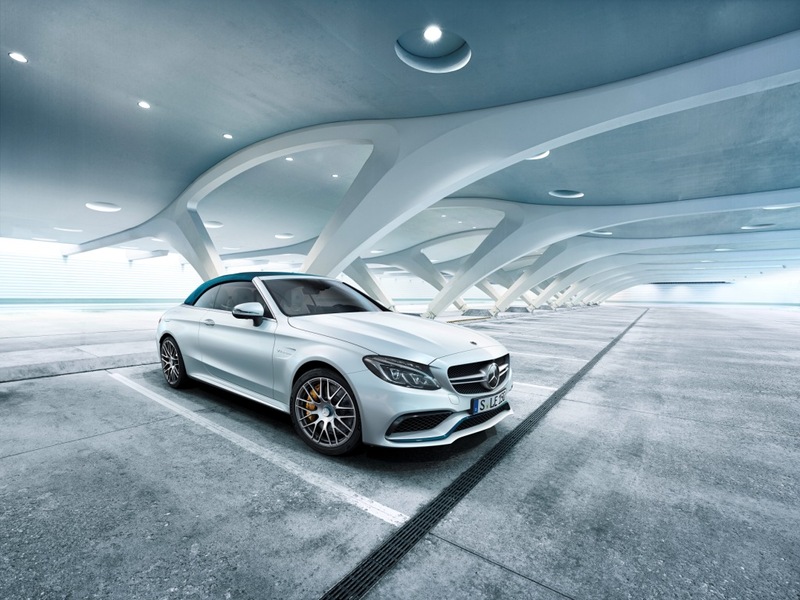 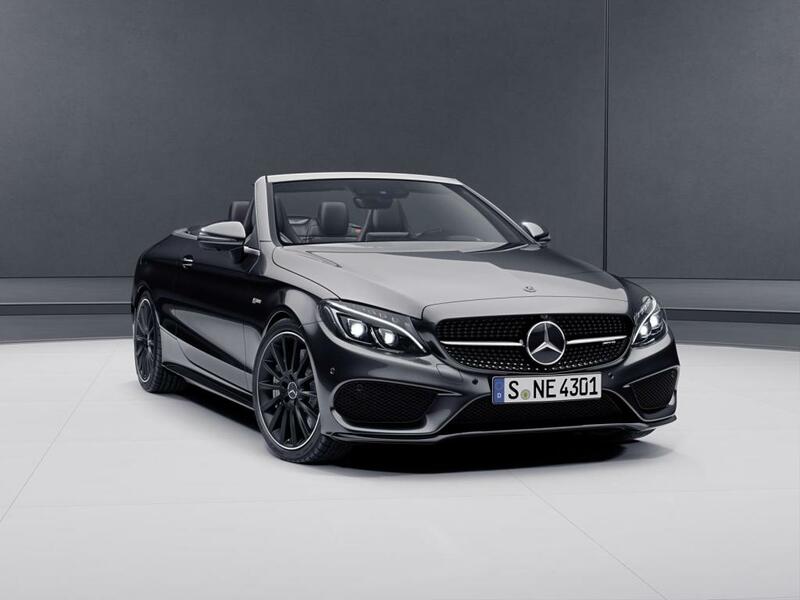 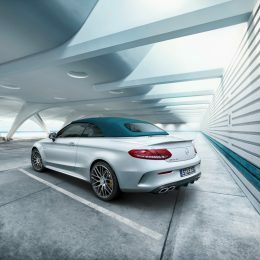 Furthermore, Mercedes-AMG is offering the C 63 Cabriolet** and C 63 S Cabriolet** Ocean Blue Edition (not available for UK market) plus C 43 4MATIC Coupé*** and C 43 4MATIC Cabriolet**** Night Edition (not available for UK market) special models to provide even more variety for customers seeking that special something. 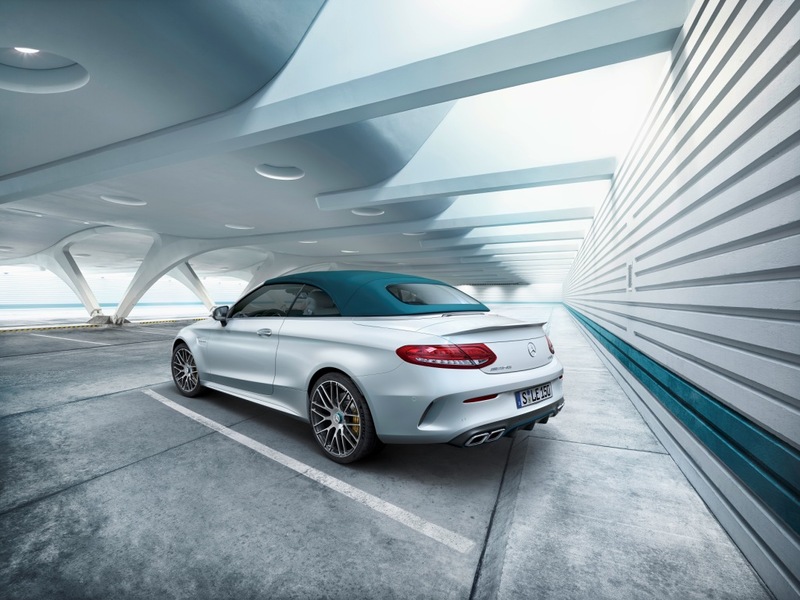 All Editions combine extended ranges of equipment with special design features, thus making their own individual mark. 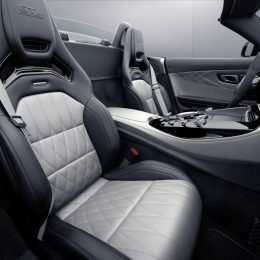 The interior is marked by a contrast between black and silver. 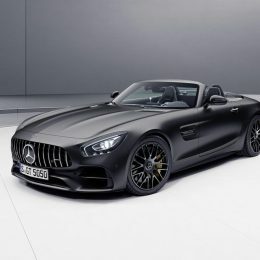 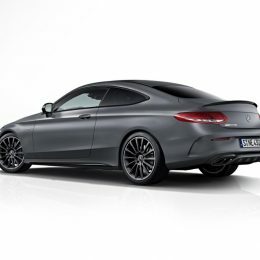 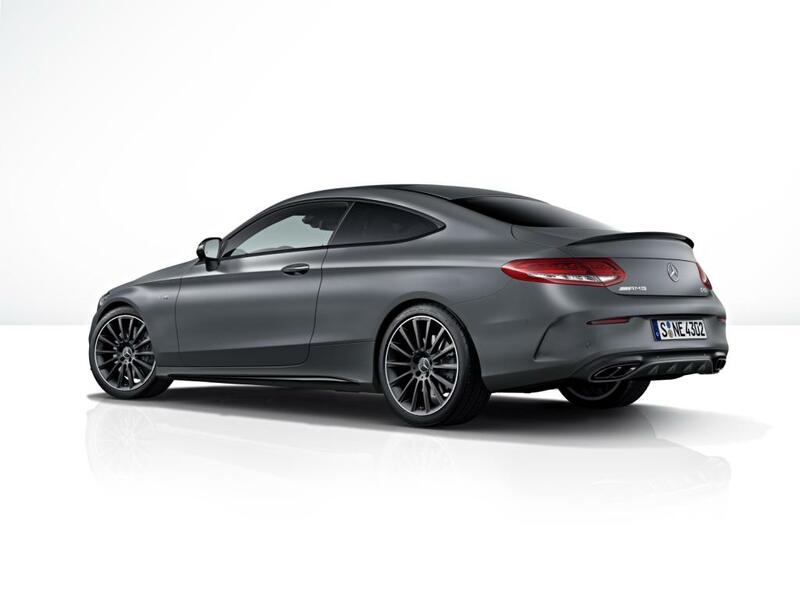 This colour scheme is followed not only by the trim in STYLE Exclusive nappa leather in silver pearl/black with grey diamond-patterned contrasting topstitching, but also by the black AMG Performance steering wheel in DINAMICA microfibre with grey contrasting topstitching, 12 o’clock mark in silver pearl, “Edition 50” lettering plus a note on the limitation. 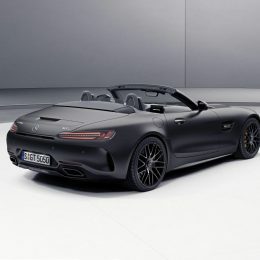 To emphasise the sporty character, the Edition comes as standard with the AMG Interior Night package, which includes steering wheel spokes, shift paddles and door sill panels in black. 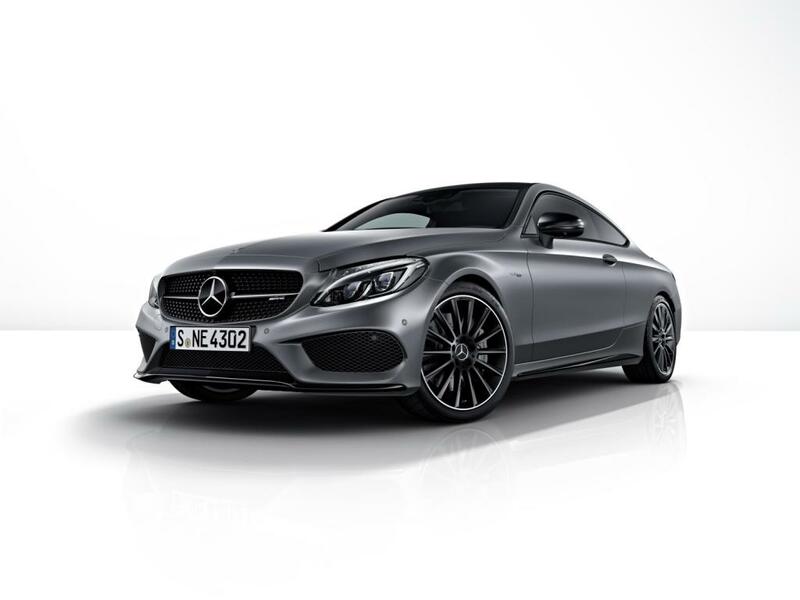 The interplay between light and dark is further accentuated by silver seat belts and black chrome trim. 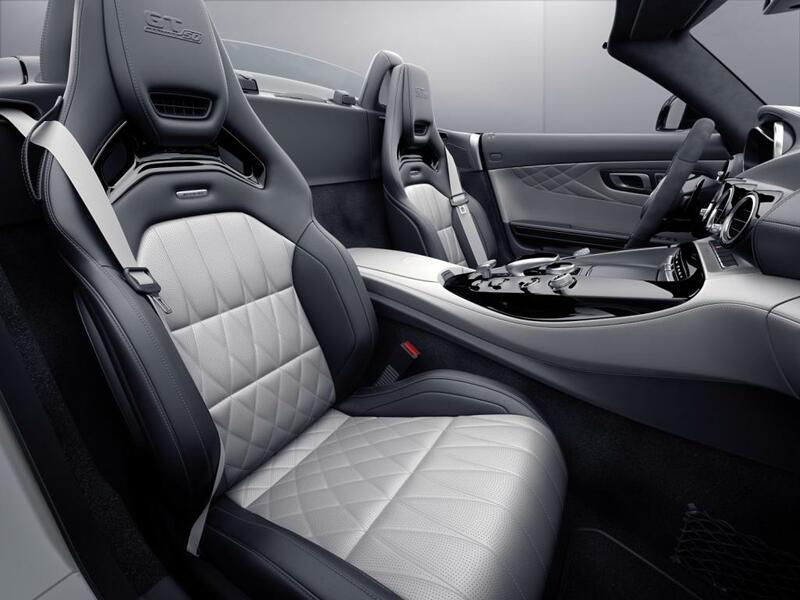 The head restraint of the AMG Performance seat is embossed with “GT Edition 50”.